Elise Waddell joined the Community Foundation of Louisville in May 2016 as a Development & Stewardship Associate. As a member of the Development & Stewardship team, she will help donors reach their philanthropic goals through outstanding service in the areas of online philanthropy, tax receipts, gift acknowledgements and fund administration. 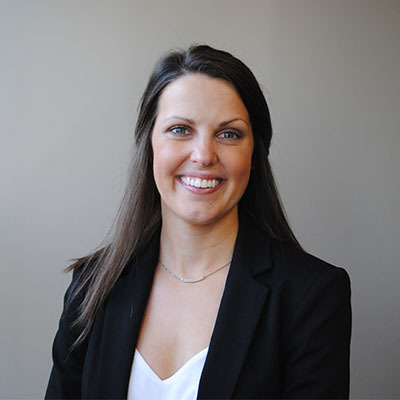 Elise was promoted to Development & Stewardship Senior Associate in July 2018. Elise is a native of Louisville, graduate of Mercy Academy and has her Bachelor of Arts in Integrated Strategic Communication from the University of Kentucky. Prior to joining the Community Foundation, Elise worked in advertising at the Courier Journal and as a Key Leader at lululemon athletica. Elise’s civic involvement includes serving as a YPAL Communications Committee member and is a graduate of their Emerging Leaders Program. She also participates in a Lean In Circle and is in the process of becoming a Big Sister with Big Brothers/Big Sisters of Kentuckiana. In her free time she enjoys yoga, barre, running and skiing.